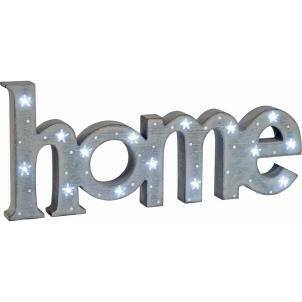 This beautiful Home sign by Transomnia is a great addition to any home. It is freestanding and sits perfectly on mantle pieces, book shelves, window sills etc. It is grey in colour with a distressed finish, and will add a touch of shabby chic to your home. Its led lights will give a lovely glow in your room. A great New Home, Wedding, Anniversary gift!